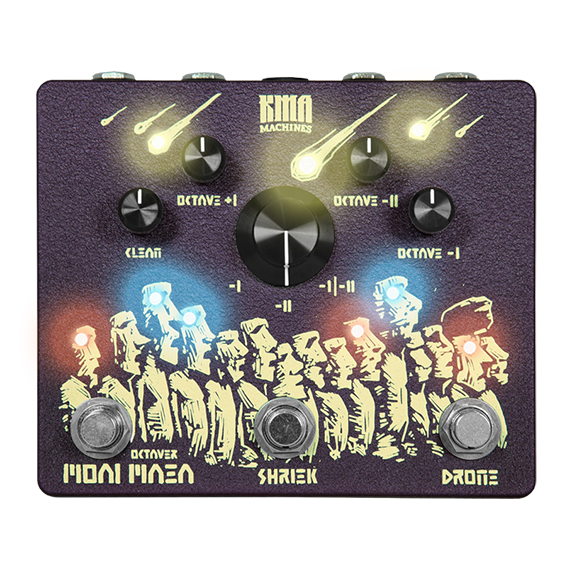 Moai Maea is KMA Audio Machines' answer to long forgotten analog octaver sounds to generate a huge wall of sound by playing just one note. It generates one higher octave and up to two sub-octaves. The higher octave has an edgy and fuzzy character which is reminis- cent of old seventy octave up sounds like Hendrix or The Stooges. The sub-octaves turn your guitar into a filthy bass guitar with groundshaking lows. We added a sub-octave mode switch for more versatility. Choose between either the first (-I), the second (-II) or both together (-I/-II), which gives you the sought-after wall of sound. The Moai gives you the possibility to create an individual mix of each generated octave and the original signal. To expand your soundscapes we added a serial bufferd FX-Loop at the clean path with a phase inverter to avoid phase cancelation when it comes to signal mixing. Each octave section is footswitchable. 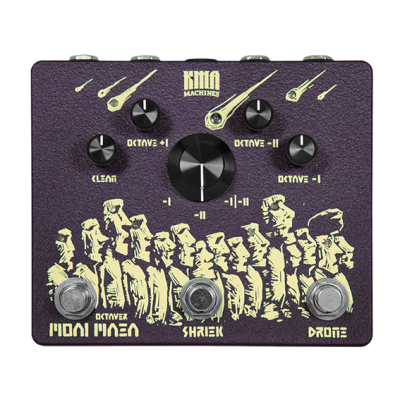 You can turn on and off the higher octave by jumping on the SHRIEK switch and the sub-octave by the DRONE switch. 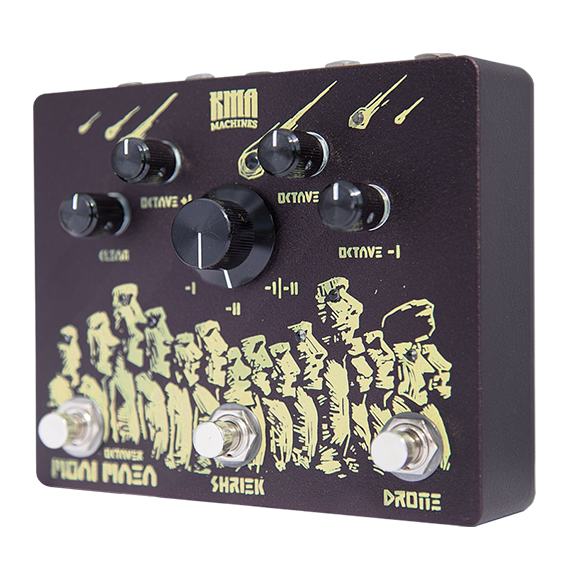 The Moai Maea is an analog octaver and works monophonic only, not polyphonic! That means for a clean and perfect tracking, you have to play single notes because of the analog circuit design. Keep in mind that chords will sound glitchy, but charming anyway.